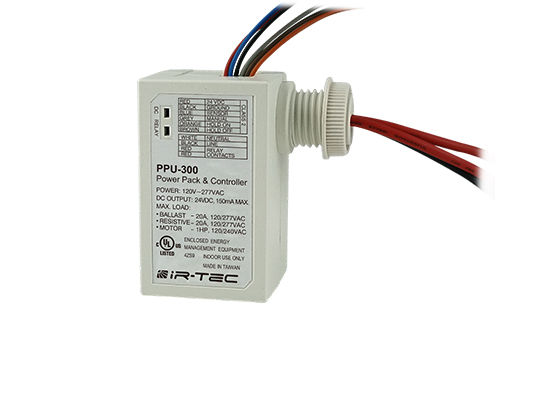 The PPU series power packs are designed to supply 24 VDC power for the operation of low voltage occupancy sensors, and switch the line voltage for the connected load control via its heavy‑duty isolated relay in response to the signals from connected occupancy sensors. This power pack can be attached to the existing junction box with 1/2" knockout or mounted into fixture cable trays. 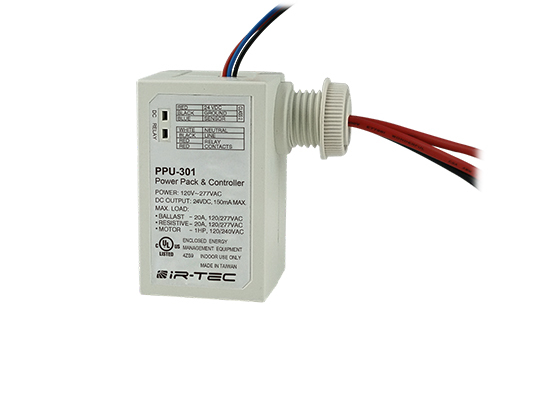 The PPU‑3xx series is available with specific models featuring different control inputs for simple connection or sophisticated connection.